How to manage time offs. Vacation management. 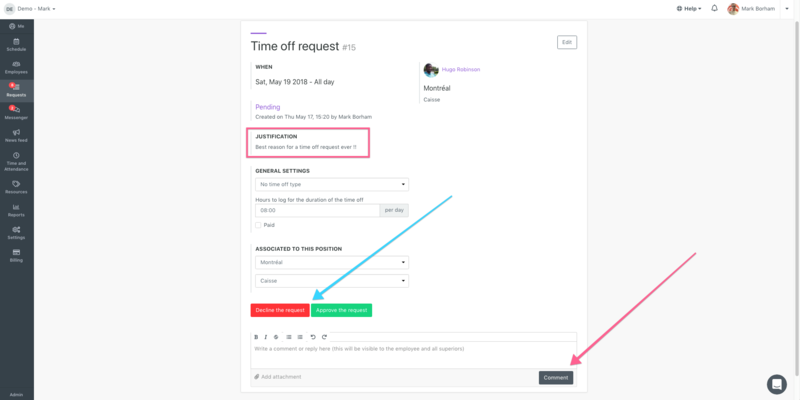 Your employees can send you their time off requests (or vacation requests) directly through the application. You will receive a notification once you receive a new request. 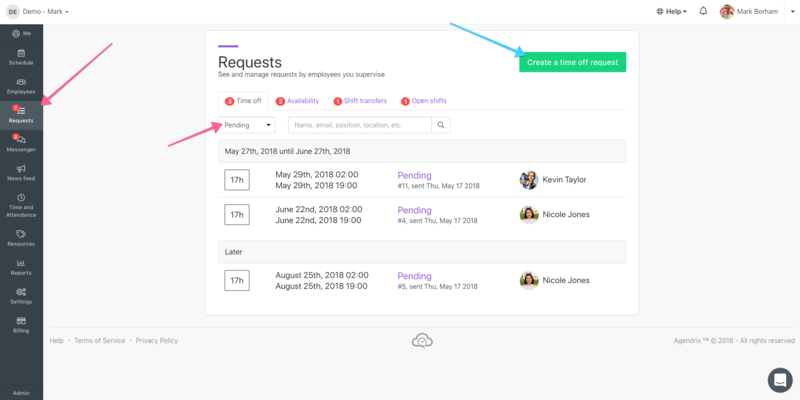 You can manage all time off requests in the "Request" menu. PROTIP: Pending time off request will show as draft in the scheduler, providing an overview of potential conflicts. It's can be a useful trick for vacation request management. A) Type of time off in Agendrix? Unpaid time off: Absence, punctually unavailable etc. Paid time off: Public Holidays, Vacation, Floating, Sick, etc. See this article on how to create the request for an employee! The request won't automatically be approved. It will be send in the "pending" section. GENERAL SETTINGS: You must identify the time off request more accurately (see pink box). It is important to read the employee’s justification and categorize it accordingly (vacation vs absence, paid or unpaid) to help the accountant, who needs this information in order to manage the payroll.